Steel has a great reputation for strength. The very word itself often conjures visions of power, longevity and resistance. Yet, the concept of "strength" is elusive. A material can react very well to sudden shocks, such as rifle shots, and yet be very quick to break down under constant, long-term stress. Steel has the reputation of being stronger than wood, but that all depends on how you define "stronger." The Portland Cement Association financed a study in 2000 conducted by engineer Armin B. Mehrabi. It was a set of stress tests designed to determine the relative strengths of various support structures for concrete walls during an earthquake. Wood and steel were used only as control variables. Wood was slightly better than steel in relation to fatigue and stress of a simulated earthquake. The woods used were a combination of pine and fir, which are not nearly as strong as maple or oak. 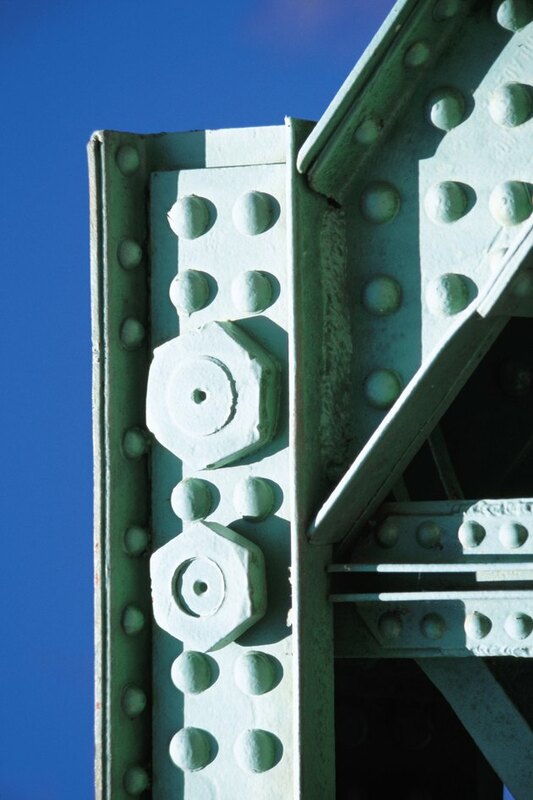 The "Portland" experiment determined that the wooden support structures for the concrete suffered their first major damage at 3500 pounds of force against the wood supports, which was identical for steel. The first major damage showed a structural displacement of .51 inches for wood, and a slightly greater .54 inches for steel, meaning that the damage at 3500 pounds was slightly worse for steel than wood. The "Portland" experiment showed that, over time, wood outperformed steel, while steel under certain circumstances withstood shocks better than other materials. The maximum resistance of the wood to the artificial earthquake pressure applied to it was at 4583 pounds before it broke down. Steel was lower, at 4004 pounds. This experiment showed that the pine/fir combination was more durable than steel. Because the Portland Concrete Association had no specific financial interest in steel or wood -- since they only worried about their own concrete -- this study should be taken seriously. "Renovo Bikes," a California manufacturer of bicycles, argues that wood is far superior to steel in bike construction. It holds that wood is more durable and reliable. Wood absorbs vibration better, meaning that it can take stress over time without cracking or wearing. Wood takes long-term stress far better than steel, as the "Portland" study demonstrated. Steel is more brittle than wood, making it a poor choice for structures that will be bearing high loads for a long time. Wood and steel have the same "stiffness" strength -- that is, how far they will bend before showing signs of wear; but wood is better for structures where the stress is constant and regular, such as in a house. This implies that in other areas where the stress is focused and irregular, such as baseball bats, steel is superior. In other words, wood is more likely to break or crack when hitting a baseball at high speed than steel, but wood is more durable for long-term stresses.